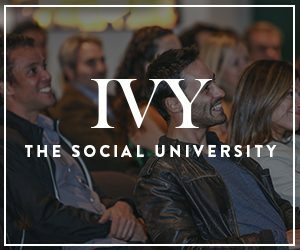 IVY hosted an Ideas Night with media expert Robert Kyncl, YouTube’s Chief Business Officer and the former Vice President of Content at Netflix. In this dynamic discussion moderated by IVY’s Sarah Zapp, Robert helps us understand the implications of the rapidly changing media industry — and why Justin Bieber’s Despacito became the most-viewed YouTube video of all time. Joining him for the conversation is Maany Peyvan, the lead Writer at YouTube, who recently co-authored a new book with Robert called Streampunks: YouTube and the Rebels Remaking Media. Robert Kyncl has been listed in Variety’s Dealmakers Impact Report as one of their “disruptors”, Vanity Fair’s New Establishment List, Billboard’s Power 100 List, and AdWeek’s 50 List of Vital Leaders in Tech, Media and Marketing. This IVY Ideas Night was presented with Zola, the makers of Plant-Powered Hydration beverages.